Pine View WRC is located in Southeastern Wisconsin and treats more than 600 birds and animals annually. Our staff consists largely of volunteers, work study students and advisers, and a board of directors. 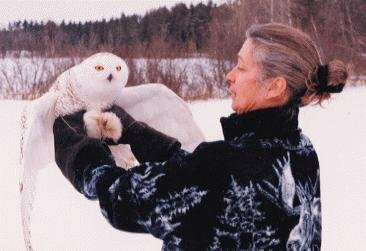 In addition to rehabilitating sick and injured wildlife, our staff presents over 100 wildlife educational programs each year to schools, civic and environmental organizations. In addition, we provide on-site educational programs at the Center for 4-H, Scout, ecology, and other interested groups. We are fully certified and licensed by the State of Wisconsin Department of Natural Resources and the Federal Government. Our funding comes from donations and memberships. We are not supported by any state or federal funds. Pine View has been serving as an educational resource to members of the Wisconsin community for nearly 20 years. 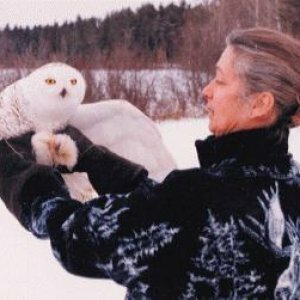 Featuring live birds and animals, programs are presented to classrooms, clubs and a variety of civic organizations with a message about the importance of co-existing with the earth's wild creatures. These presentations also teach individuals about wildlife behavior and natural history. Our goal is to raise every person's consciousness, promote their awareness of the plight and needs of our wildlife and to encourage them to always act responsibly toward nature's creatures.